Yes, they shuffle. But they can't do the bridge/easy stack after the riffle, so if you want a deck of carbon fiber playing cards, you'll have to be willing to press them together and realign them into a neat pile yourself. I'd say it's a small price to pay for 4 full suits and a couple of jokers printed on slices of 100% carbon fiber. Well, smaller at least than the deck's $120 price tag. Longevity. 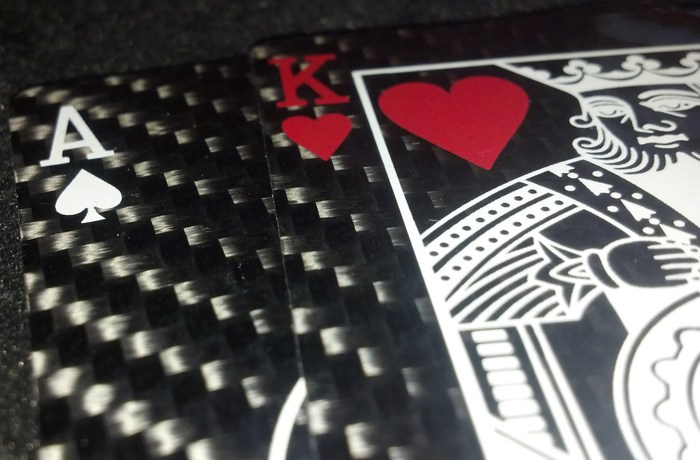 Carbon fiber is sturdy and this deck can last a lifetime. Resilience. The cards' edges will not fray, and they can be washed clean if someone spills a beer or some burrito innards on them. Strength. 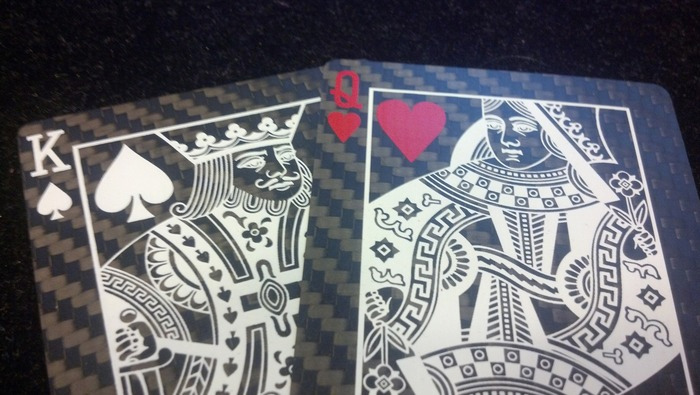 The cards are rip, crease, and bend-resistant. Coolness. A 5% to 8% increase in yours for owning them. 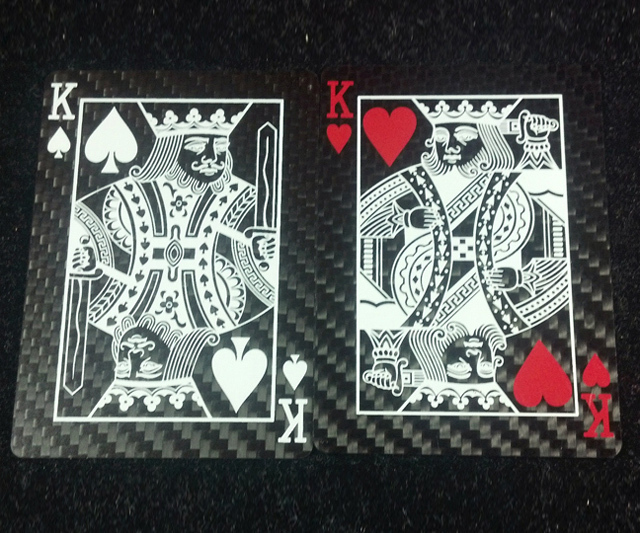 Unless you're already cool, in which case everyone will just say, "Oh, of course he has carbon fiber playing cards. Pledge for your deck on Kickstarter through January 7, 2014.